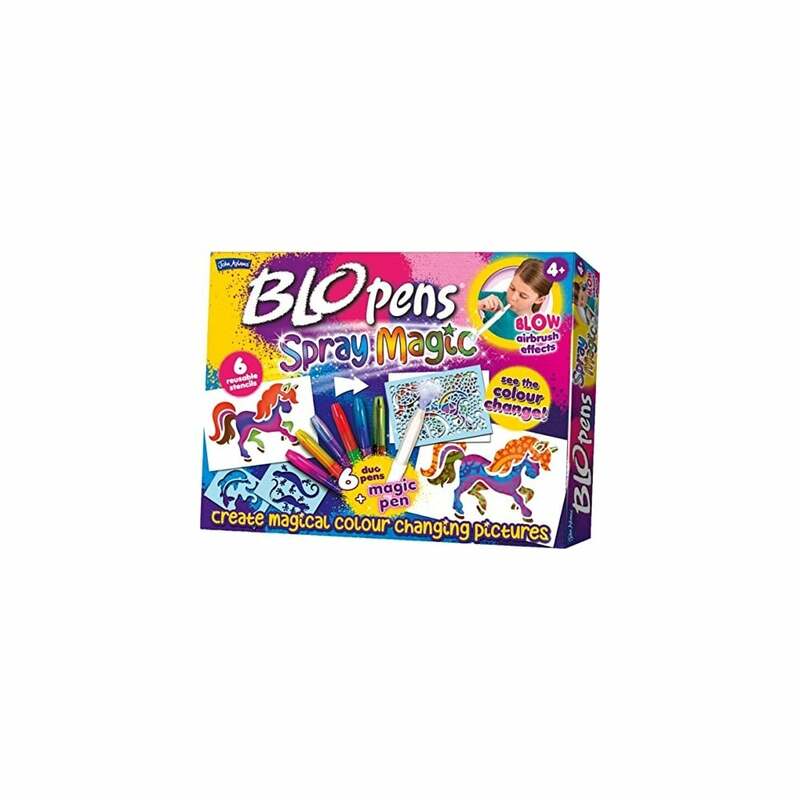 Kids love BLO pens as they can easily create fantastic pictures with amazing airbrush effects! This unique spray magic set features special 'duo' pens, which change colour when they are over sprayed (or drawn over) with the magic pen. First use the picture stencils to create your image, then overlay with the patterned stencil and spray with the magic pen to transform your picture with amazing effects.